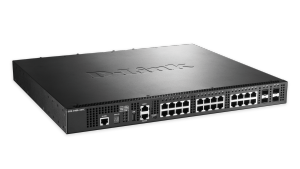 D-Link’s DXS-3400 Series Lite Layer 3 Stackable 10 GbE Managed Switches are compact, high-performance switches that feature wire speed 10-Gigabit Ethernet switching, routing, and ultra-low latency. 10GbE Copper and Fiber versions are available. 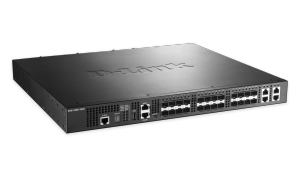 The DXS-3400-24TC includes twenty (20) 10GBASE-T (RJ45) ports and four (4) 10GbE “Combo” ports (RJ45/SFP+). The DXS-3400-24SC includes twenty (20) 10GbE optical (SFP+) ports and four (4) 10GbE “Combo” ports (RJ45/SFP+).